Tempeh is a fermented soyfood,and like its culinary cousin tofu is quite versatile, but has a more distinct flavor as well as a dense, chewy texture. Though somewhat of an acquired taste, it’s one worth cultivating — tempeh is high in complete protein and rich in all kinds of nutrients perfect for the plant based diet. Learn more in this informative post on tempeh. 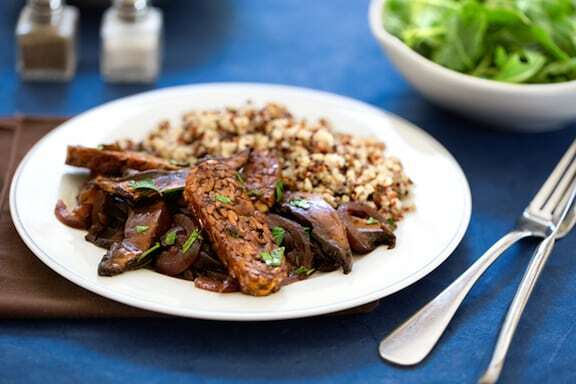 Let’s get cooking with it, starting with Tangy Tempeh with Portobello Mushrooms (above). It has a “meaty” heartiness, with balsamic vinegar providing a bit of tang. Serve this sumptuous stew-like dish over a cooked grain or on pasta. 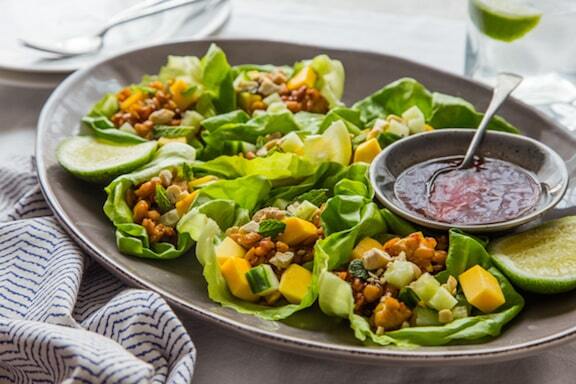 In these delectable Mango Tempeh Lettuce Wraps from Oh My Veggies, crumbled tempeh and sweet champagne mangos combine to make a perfect filling for easy vegetarian lettuce wraps. 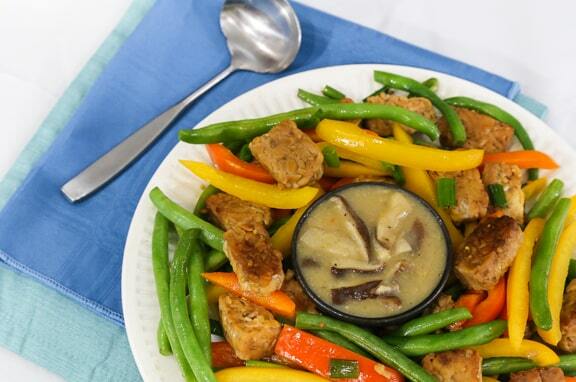 Tempeh and Green Beans with Shiitake-Miso Gravy is a filling dish featuring a flavorful shiitake-miso gravy. Serve with simple cooked quinoa, especially if you cooked extra earlier in the week; it’s also good on rice or noodles. 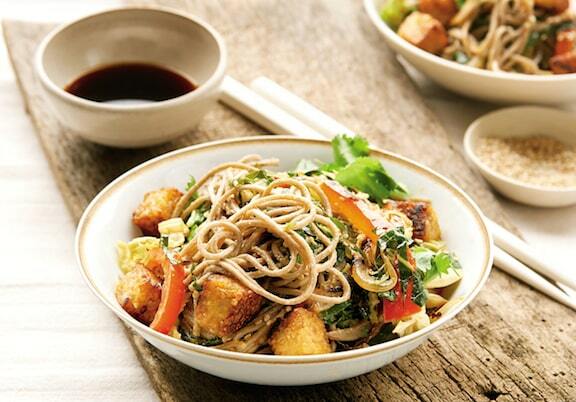 Sesame Soba Noodles with Collard Greens and Tempeh Croutons is an Asian-flavored dish featuring high-protein tempeh and calcium-rich collard greens is flavored with a triple dose of sesame (another great source of calcium): tahini, seeds, and oil. 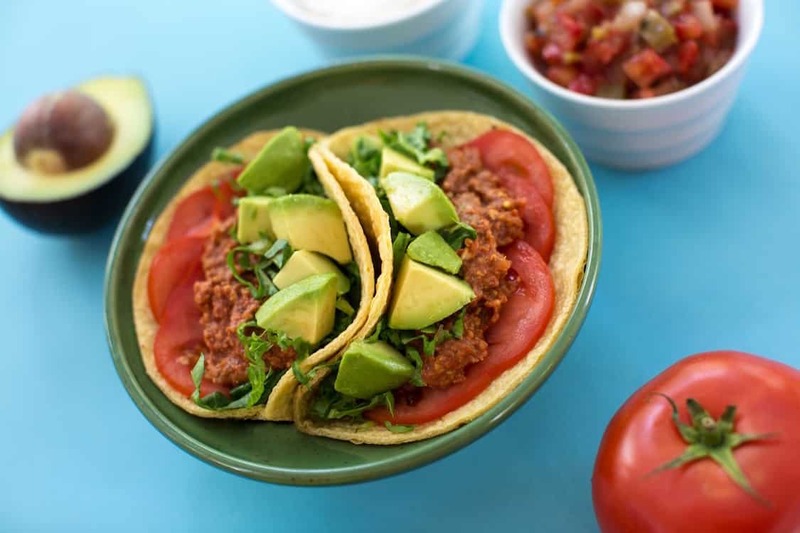 In Tempeh and Walnut Soft Taco Filling, two high-protein foods (with lots more going for them nutritionally) team up in a tasty filling that goes a long way. 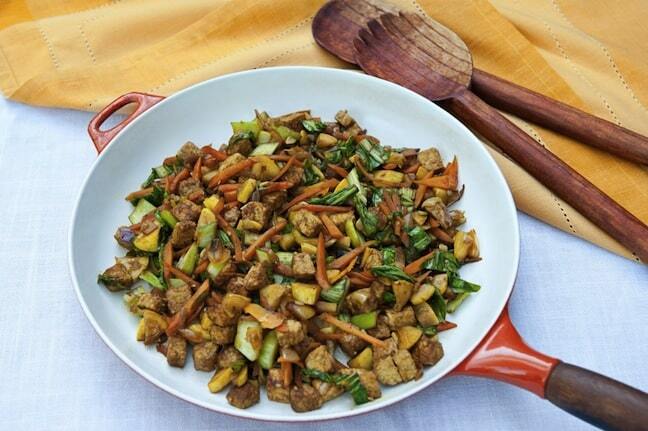 Ginger Tempeh Vegetable Stir-Fry by Leslie Cerier features summer squash and bok choy. Serve over rice and a colorful salad for an easy meal. 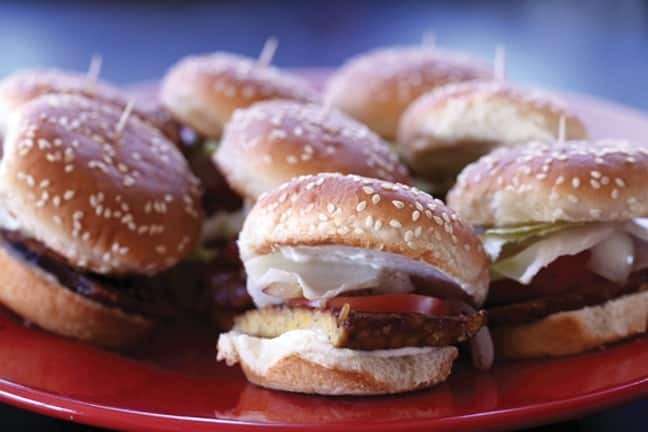 Ayinde Howell’s Sriracha Tempeh Sliders with Ranch Dressing offers an ingeniously easy way to make these mini-burgers. You can replace the sriracha with BBQ sauce if it’s too hot you! 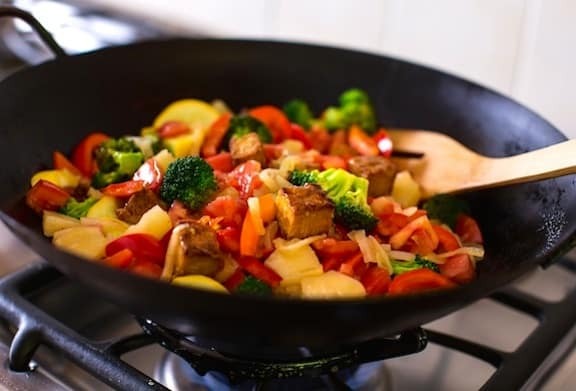 Sweet-and-Sour Stir-Fried Vegetables with Seitan or Tempeh features a choice of these plant proteins plus colorful vegetables and pineapple, has several steps but can be made easily and at a leisurely pace. 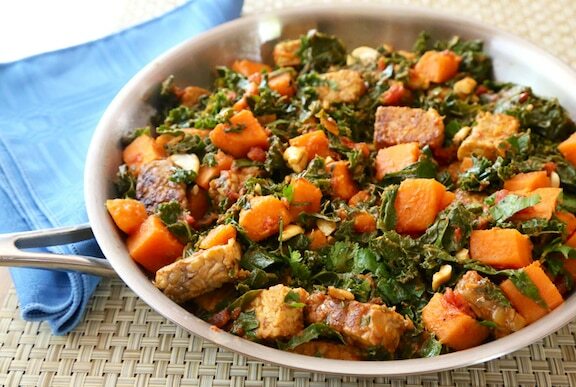 Tempeh, Kale, and Sweet Potato Skillet shines with a nourishing trio of ingredients and makes for a quick, colorful, and comforting meal. 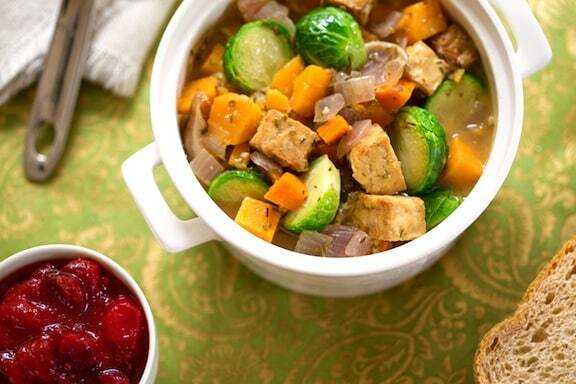 Another yummy offering from Leslie Cerier, Tempeh Stew with Brussels Sprouts, Sweet Potatoes, and Shiitakes is like Thanksgiving in a bowl. It is indeed a good choice for the holiday, but you can make it any time you want a hearty cool-weather meal. 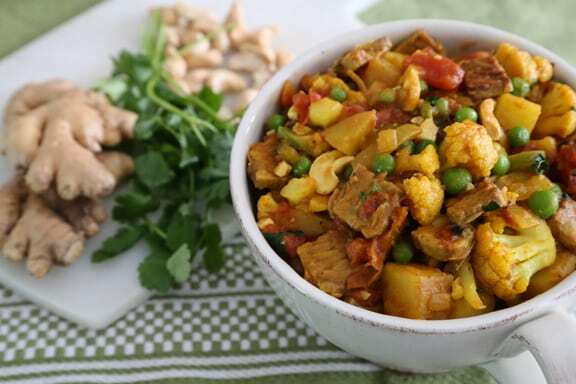 Even those who aren’t quite sold on tempeh will be enticed by this delectable, veggie-filled Tempeh, Cauliflower, and Cashew Curry. Along with potatoes and plenty of spices, this is a colorful and warming stew. 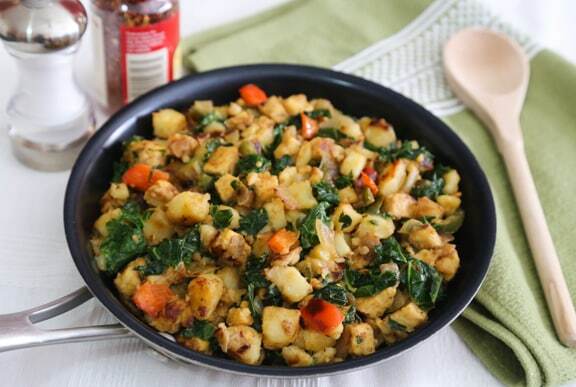 Skillet Potato and Tempeh Hash gives you a hearty vegan spin on a “meaty” classic. Embellished with bell pepper and kale, this is as good served as a quick dinner as it is an offbeat and hearty breakfast. These foods look delicious and very healthy.